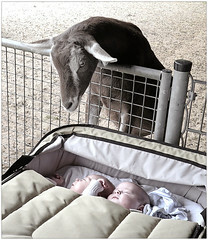 About two babies and a Goat. Oh and I am a bit slow too on keeping up with what goes on over at the Collective. Last month they published my piece on Matisyahu. Post your thoughts over there, or here or both.